One of Asia’s largest, Terminal 3, is a symbol of India’s fast paced infrastructure growth and emerging economic status. 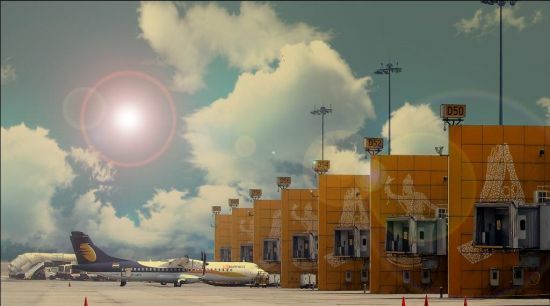 With a capacity of 34 million passengers per year (mppa), it turned Indira Gandhi International Airport into South Asia’s most important aviation hub. A mammoth task completed in a record time of 37 months against the backdrop of a looming deadline to the Commonwealth Games 2010. On February the 9th at 7 PM, get set to witness this incredible journey called ‘Megastructures: Delhi IGI Airport – Terminal 3’ on National Geographic Channel. A one-hour special documenting the construction of India’s largest post-independence building, spearheaded by the GMR group, the show will follow the emergence of this gigantic structure, from conception to realization. Watch the transformation of a barren stretch of land into this spectacular Megastructure in record time, on ‘Megastructures: Delhi IGI Airport – Terminal 3’ premiering on Sunday, 9th February at 7 PM only on National Geographic Channel.